Spc. 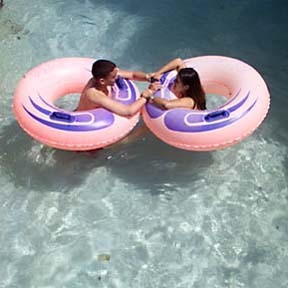 Dallon Sims and his girlfriend, Robin Ligsay, floated down a water canal together Sunday at Hawaiian Waters Adventure Park. Sims will be among some 630 Hawaii soldiers to be deployed to Iraq by month's end. »English group seeks success in U.S.